According to a PNC survey, almost two-thirds of millionaires say their wealth is largely attributable to their jobs. Furthermore, these six figure earners are much better at applying for and landing better paying jobs and are far more inclined to negotiate better salaries and over all commission plans than their peers (says a study by PayScale.com). In contrast, nearly 60% of their competition (all U.S. workers, in fact) simply settle for the first offer they get. So what are their secrets? How do these top earners go about applying for, interviewing at and landing these better jobs? The good news is that, as always, success leaves clues, and by simply following some of their tried and true strategies, you, too, can begin applying for and landing not only better paying jobs, but also better positions at those jobs. Now don’t be worried if you’re not a six figure earner – yet. By following the strategies and techniques below, you can begin making yourself more valuable at your current job, and more marketable to your next employer as well. In fact, if you are in the job market right now, using these proven tips will move your resume to the top of the list and get you an interview above everyone else who is applying. How can I be so sure of this? Because my experience in hiring tells me so. Over the last 30 years, I have reviewed thousands of resumes of potential inside sales reps, admin support people, marketing people, etc. And as a consultant, I’ve worked with my client’s hiring managers, recruiters, HR Directors, V.P.’s of sales, sales managers, etc., helping them vet and interview thousands of more candidates. I can look at a resume for one minute and tell you whether a company would be interested in speaking with you or not. And after all that experience, sadly, I can tell you now that we (myself, hiring managers, etc.) 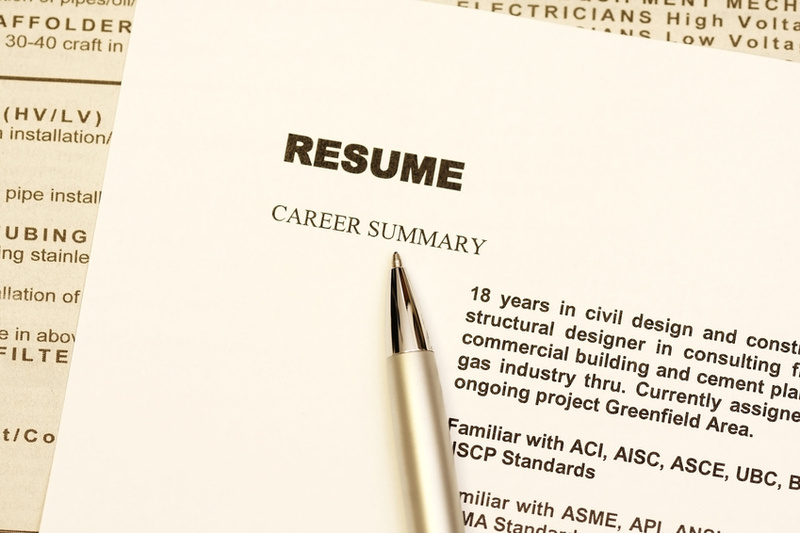 throw away about 95% of all resumes received for an inside sales position. Ninety five percent! That’s a horrendous statistic, and it just shows how unprepared (or uninterested) most sales reps are about applying for and getting a new job. It tells me that the majority of job seekers carelessly put together their resume, and then rapid fire it out to as many potential jobs as are advertising. It’s the shotgun approach to landing a job. And it does not work. Lucky for you that with just a little bit of time and effort ahead of time, you can create a cover letter and resume that will make hiring managers anxious to call and meet with you. By just putting in a little bit of work before you attach or upload your resume to a job posting, you can all but be assured that you’ll be sitting in front of the hiring manager for the job you’d really like to get. Moreover, if you follow some of the other tips you’ll read in this Special Report, you’ll also be able to negotiate things like a signing bonus, a performance bonus, higher salary and/or commission schedule. And, with just a little bit of planning, you can even begin applying to and landing positions in management. And all of this will mean more money, more prestige, and more opportunity in your future. 1) Write a cover letter that will separate you from 90% of the resumes a company gets. 2) Easily develop a resume that will put you into the top 1% of what a company is looking for – and ensure that you get interviewed first. 3) How to make yourself more valuable to your current company, as well as future employers as well. 4) How to ask for and get higher positions in management and so make more money. 5) How to get the largest starting pay – including asking for and getting a signing bonus. 6) How to negotiate for salary and bonus reviews which will keep your earnings going even higher. You can apply for and get a better paying job, but you must know how to do it first. In next week’s Ezine, I will teach you the secrets of crafting a simple, yet powerful, cover letter that will immediately separate you from the hundreds of other resumes a hiring manager receives each week. This tip alone will move you, and your resume, above the competition applying for the job you want! Ask any manager, V.P. or business owner what one of the biggest challenges they face in making their revenue numbers and they’ll tell you it’s in identifying, hiring and retaining good sales reps. If you are familiar with my management philosophy, then you’ve heard me talk about the 80/20 rule in sales, and all you have to do is look at your own company or industry to know it’s still true – 80% of the sales and revenue are made by the Top 20%. I have also found an easier way to identify who the potential top producers are, and I’ve boiled it down into three “Real Secrets.” If you are responsible for identifying and hiring sales reps in your company, then I recommend you use these techniques to help you find the right sales reps before you spend all that time and energy training, managing and hoping you’ve made the right choice. Real Secret #2) Determine what is really motivating your candidate. What we exposed in the first real secret was your candidate’s comfort zone. We all have comfort zones, and sales reps in particular will always live up to – and most likely down to – their comfort zone especially in terms of income. 1)	I ask them to sell me on the product. What I’m looking for is for them to ask me qualifying questions rather than just start pitching. Those who just dive right in and start pitching reveal themselves as middle to low 80% producers. Top 20% producers, on the other hand, start asking me questions and gathering information. They are the ones I’m interested in. These techniques have saved me hundreds of hours of poor hires, and they have often revealed who the real top producers were. Use them, and you’ll love how they will work for you as well. Experienced Sales Reps – Should You Hire Them? Who would you rather hire for your inside sales team – an experienced inside sales rep with experience selling different products or services across several companies, or someone new to sales, say a college graduate, or how about a waiter or bar tender or someone one else new to sales? The proper answer here, of course, is it depends on the individual circumstance. But as we’ll see, if the proper systems are in place, it’s usually a wiser choice to go with someone new to sales. Let’s find out why. While conventional wisdom would lean towards hiring someone with specific inside sales experience, what common experience tells us is that that choice is rarely a guarantee of good performance. In fact, after hiring or being involved in the hiring of thousands of experienced inside sales reps, I can tell you from personal experience that it is very rare to hire an experienced sales rep who turns into someone truly exceptional. It’s more common to find mediocre sales reps who continue to produce down to their level of past production. There are many reasons for this. To start with, most sales reps have never received the kind of sales training that leads to consistently good results. Sales training, and its constant reinforcement, is an area that is either under developed or an effective extension of product training. After initial orientation and training, most inside sales reps are left to either figure it out on their own, or to sink or swim. This leads to a lot of sales reps who develop poor sales skills that they repeat over and over again as they ad lib their way through their jobs. It’s these very same unsuccessful reps that are looking for work when they answer your job posting. 55 percent of the people earning their living in sales should be doing something else. Another 20 to 25 percent (of salespeople) have what it takes to sell, but they should be selling something else. They concluded that based on these statistics, the practice of hiring experienced sales candidates will produce an unsatisfactory result as much as 80 percent of the time! That may seem a pretty dire pronouncement, but it once again rings true in my experience and, I’m willing to bet, in the experience of many of you reading this article as well. Now before you throw your hands up in the air and decide to abandon your sales efforts completely, the good news is that there is a solution. The solution is to invest the time, money and effort in defining your sales process, developing a solid training program that teaches the best practices of your sales process, and then to give your front line managers the tools to manage your rep’s adherence to these defined sales processes. You can see a video of me describing this process on my website. Once you build these processes, you will be in the unique position of being able to hire and successfully on board new talent into your sales team. The great thing about hiring someone new to sales is that they are a blank slate without any poor sales skills and habits. Rather than trying to undo years of poor performance and attitude, you can spend your time actually training someone the right way from the beginning. After that, your time can be spent reinforcing and measuring adherence to your best practices. The major benefit here is that you can shorten the time it takes to evaluate whether or not the person you’ve just hired has the ability and desire to succeed in your sales environment. Another benefit of using this method is that since you are hiring people who are new to sales, you can now recruit from almost anywhere. Rather than being handcuffed to running the same old ads and attracting the same old suspects, suddenly you will be free to find and recruit new talent anywhere you go. When I was actively managing and growing a financial service team, I would carry my business cards with me everywhere and would constantly be on the lookout for people who were bright and had winning personalities. I’d chat up people working in department stores, waiters, bar tenders, and anywhere else I found engaging and motivated people. In fact, some of my top producers where found in this way. Now, let’s get back to the question at the beginning of this article. Is it better to hire an experienced inside sales rep or someone new to sales? Again, it depends on the circumstance because you obviously don’t want to hire someone new who doesn’t have the temperament or desire, and you don’t want to not hire an experienced sales rep who might do well in your environment. The way to be successful with both of these hires is to have a solid training program and follow up mentoring and measuring system to evaluate them. Only in this way will you be able to successfully hire and develop the right candidate. IntroductionAfter you’ve chosen the best compensation plan for your inside sales team – either straight salary or commission or a combination of the two – the next step is to determine how best to keep them motivated and focused on making their daily and monthly revenue goals. Many business owners and managers choose daily spiff programs or contests to develop or keep sales momentum going, but how effective are these initiatives? Providing daily bonuses or “spiff” programs, or other weekly or monthly contests, have long been a part of the inside selling environment. Most sales reps and managers have experience with handing out or receiving cash for the first deal on the board or for the achievement of a daily sales goal, or of handing out or receiving lunch vouchers or even DVD players for month end “top dog” status. The reason these daily bonuses are still around is because they work on some level. There is no denying that sales reps will work harder if there is a special bonus attached to the work they are already doing anyway. As long as the bonus is truly reachable by all the sales staff, a percentage of the team will temporarily try harder to earn the additional spiff. The key words here though are percentage and temporarily. Again, although many managers can attest to the increase in effort and sometime production, in the end the consensus is that after a while the spiff programs lose effectiveness. Some of the inherent problems with spiffs and contests are a perception by some of the sales team that no matter how hard they try, the better reps will still dominate and win the awards. There is a lot of truth to this as top reps are often in the position to win with better pipelines, higher quality leads and better selling and prospecting techniques. Because of this, half the sales team tends to check out and ignore the contests and can even become de-motivated by them. A more practical problem with daily spiff programs, however, is that they tend to become more expensive as last month’s $500 dollar overall bonus often needs to get bigger to get the same result. Sales reps get jaded easily and the top reps are quick to voice their disappointment at the same low bonus paid out for all the extra work they feel they have to do. “Is that all you’ve got?” is their often tacit reaction to next month’s bonus. So up goes the investment on management’s side, yet as the investment goes up the effort and results often go in a different direction. At the end of year, many business owners and managers look back at all the additional money they paid out in daily spiffs, bonuses and contests and come to the same conclusion – the investment wasn’t worth the bottom line result. According to CSOinsights.com, 48% of inside sales teams still fail to reach their monthly production goals despite the contests and bonuses offered. Fortunately, there is a better way. Recently we consulted with a company selling healthcare products over the phone. The sales team consisted of a seasoned group of about twelve reps, and we added three new reps during a 90 day period. There were many issues to be addressed, but coming up with a new compensation plan was at the top of the list. This company had relied on the daily spiff and bonus program for years and overall the team was spoiled, unmotivated and ultimately unproductive. To get them motivated again, we made two primary changes. The first was to discontinue all daily spiffs and cash bonuses and replace them with a controlled monthly bonus program that was based on goal attainment. In other words, if you didn’t hit your monthly revenue goal, you didn’t qualify for any of three new month end bonuses. The immediate result and benefit of this new program was to take the rep’s focus off the daily, “What’s in it for me?” attitude and instead refocus them on the company’s goal of overall monthly revenue attainment. Aligning the rep’s focus with the company’s focus changed everything. First, the reps were no longer focused on a series of short term goals, but rather, were now focused on one month at a time. This had the immediate benefit of keeping them motivated during the entire month. Secondly, by not rewarding them for achievement of incidental benchmarks, (daily production, first deal in, etc) reps had to work harder and stay focused longer to achieve the one goal that mattered – their overall monthly production. As reps remained more alert to their overall production goal, managing them became easier as well. Rather than deal with the daily bonus programs and the attitudes that came with them, the front line managers were now able to focus on the one thing that mattered – monthly revenue goal attainment. Once the focus on bottom line numbers was renewed, managers could get back to the basics of sales management. This meant less time babysitting attitudes and more time driving pipelines and sales. With management and reps more evenly aligned, production steadily rose. And, of course, with the elimination of daily cash bonuses and spiffs, the company also saved money. The second change was to give the sales reps an internal advancement plan based on their production and goal attainment. In taking a page from larger, often public companies, what we find is that people are more motivated when there is an opportunity for growth within their own company. Employees will work harder, stay longer and experience more job satisfaction – and be more productive employees – if they feel their work and efforts are appreciated and rewarded. Because this company wanted to scale their sales team and grow market share, it was easy to develop an internal management advancement program. What they did was develop a program whereby if a sales rep hit their numbers for 6 consecutive months, they became eligible to become a team leader. A team leader in this company would manage up to four reps and would receive a small direct compensation based on production and other factors. In addition to this, a team leader who hit their team numbers for 10 consecutive months became eligible to be a unit manager, thus managing a larger team. Additional compensation would be available. Once this level was attained, further advancement was possible as a sales manager, sales director, etc. One important point is worth noting here – just because the advancement plan was there didn’t automatically mean that all who attained their production levels were automatically moved into positions of team leads or managers. It was all based on company need and availability of positions. As the company grew and production progressed though, eligible candidates were promoted. The result of having the management advancement plan was a measureable change in attitude and effort from every member of the sales team. Top producers took their jobs more seriously and became more active team players. As team leads assumed roles of responsibility for groups of sales reps, more peer pressure was applied and the sales group grew more cohesive as a whole. Managing required less effort and hiring and on boarding of new reps became more of a focus and the sales team was able to grow and scale at a much more predictable pace. While daily bonuses and spiffs remain an important part of compensating and driving production with many companies, their long term effectiveness don’t always justify their expense or their continued use. There is a better way. Think about the attitude and attention of your current inside sales team and ask yourself: Are they more in it for themselves or are they truly invested in your company’s goals and long term growth? If you find that their attention and focus is not aligned with yours, then you should consider making some of the changes we’ve outlined here. But please be aware that both of these changes involve detailed planning and forethought. The elimination of the daily bonus and spiff program has to be handled carefully and the design and roll out of the monthly bonus program must ensure it will motivate all members of the team. Obviously the development and roll out of the management advancement plan involves many elements including skill development, identification of duties and responsibilities and compensation structure. Never make these kinds of changes without careful consideration of the ramifications and long term consequences, and always design them with your long term grow goals in mind. One thing I’ve learned in my own business is that getting help from someone outside my direct industry has been invaluable in saving me both time and money, and in helping me implement changes more successfully. During the development and implantation of any new project, there is often a large amount of time and effort required, and I’ve always been happier when I’ve enlisted the help of an experienced consultant, contractor or vendor to help me handle the initial work load of a new project. Another reason to leverage outside help is to access the new perspective they bring from outside your industry. Also, if changes involve getting buy in from others within your company, it’s much easier for them to accept them if they come at the suggestion of an outside, unbiased professional. The new perspectives, ideas and experience they bring to you and your team really help promote out of the box thinking and lead to solutions you may never have come up with on your own. In regards to making any changes to sales procedures or policies, make sure that the people working on the project have a sales background and preferably experience selling your product or service. This experience will be especially useful in the roll out of the project. Sales reps are always thinking, “What’s in it for me,” and if you approach them with this in mind, you’ll be more likely to get their buy in. Remember to show them how this and any other new plan benefits them. I wish you success in designing and rolling out a new bonus plan. I know that once you take the focus off short term goals and put it on the overall production and growth of your company, you and your team will be aligned and in a position to achieving the vision you have. If you’re in charge of hiring, training and developing inside sales reps, then what you’re about to read may shock you a little bit, but it will also resonate with you and explain why many of the reps you hire ultimately fail. #2) Another 20 to 25 percent (of salespeople) have what it takes to sell, but they should be selling something else. Before you dismiss these results as far-fetched, think about your own inside sales team. If you’re like most companies, you probably have the 80/20 rule where 80% of your sales and revenue are made by your top 20% producers. What that means is that the other 80% of your reps struggle to make quota (or rarely do), and I’ll bet that over the course of a year or two, half of these reps have either quit, been fired, or you wish they would move on. I’ve worked with hundreds of companies that have inside sales teams, and I can attest to the accuracy of the stats above. Every time I begin working with a new company, I assess the skill level, aptitude, desire and ability of each member of the team. What I find is that up to half of the reps employed shouldn’t have been hired to begin with (or shouldn’t still be working at the company), and most important thing we can do is to replace them with better qualified candidates. First, in order to give each member of your existing team the full chance to succeed, you have to make sure that you have invested the proper time and energy in identifying and defining your sales process (I call it a DSP – Defined Sales Process). Next you need to design a sales training program – complete with specific scripts – that teach the best practices of your sales process and then properly train your existing team on them. And finally, you need to teach your managers how to coach and train your reps to adhere to those scripts and best practices. Assuming you take the time to do this first (I usually get companies through this process in anywhere from 45 to 90 days), then you are ready to begin recruiting and hiring more qualified candidates. 1)	Slow hiring, fast firing. If I were to ask you what activity college football coaches spend up to 70% of their time, what would you say? Watching game film? Coaching their players? Preparing game plans? The answer is none of those. College coaches spend up to 70% of their time recruiting talent to play on their team. Does that surprise you? If you hire sales reps like most companies do, then it probably did. Most companies hire sales reps the wrong way. They hire reps quickly, and they hold on to underperforming reps far too long. The first guideline you want to follow is to do just the opposite. The best thing you can do is always be recruiting and have a constant flow of talent to evaluate and hire. Your goal should be to hire slowly – after a structured and careful evaluation process – and then to be ready to let reps go who have not shown the improvement or performance that you’ve identified in advance is necessary (you’ll refer back to your DSP to arrive at this). The key here is that if you have a steady flow of talent and candidates to choose from (and in this market, there are many people available), then you’ll be much less likely to make quick and ill advised hiring decisions. Plus, you’ll be less likely to hold on to underperformers who are likely to never make it in your selling environment. 2)	Be more willing to consider and to hire candidates who either don’t have your particular sales experience, or don’t have any sales experience at all. If we go back to the results earlier in this article – that 55 percent of people in sales should be doing something else, and another 20 to 25 percent should be selling something else – then it means that the common practice of hiring experienced sales candidates will produce an unsatisfactory result as much as 80 percent of the time! A much more effective way of hiring successful sales reps is to start with raw and motivated candidates and then train them properly right from the beginning. Teaching new candidates the right skills and techniques is a lot easier than first getting an experienced sales rep to unlearn all their bad habits first. Of course, you must have a solid sales training program that teaches effective sales skills and the best practices of your particular sale (these best practices will also come after you’ve defined your sales process – DSP). You can still interview and even hire experience sales reps, but just bare this in mind: The biggest predictor of future success in sales is what the rep has done in the past. What a rep is used to producing and earning defines their comfort zone and in fact defines every aspect of their financial life. In life – and in sales especially – we all tend to live up to or down to what we are used to. If you want to know what an experienced sales rep might produce at your company, then just find out how much they earned at their previous company. Divide this number by their commission, and you’ll have a very accurate idea of what you can expect they’ll produce. Then ask yourself if that’s enough. If it isn’t, then take a chance on someone new to the profession of sales and instill in them a new comfort zone based on success at your company. 3)	Regardless of whether you hire an experience sales rep or someone new to the profession, what you absolutely must do is make sure your managers are measuring the right indicators of sales success and progress. You would be surprised by how many companies measure and rely on metrics that don’t drive sales. I’m talking about things like number of calls, time on the phone, etc. Now don’t get me wrong – these are important metrics and they definitely play a role in the success or failure of your inside sales team. But they don’t drive sales. Let me explain the difference. While it’s obviously important that your reps are making the most amount of calls and contacts with decision makers as possible, this alone will not drive sales. You see, if your reps are not qualifying prospects properly, or if they are not handling objections or brush offs well enough to win sales, then if they simply make more calls, this won’t result in a lot more sales. In fact, it will just waste more of their time, more of your resources and result in more frustration in your sales department. The only thing that drives more sales is effective conversations that move the sale forward with qualified prospects. Each contact with a qualified prospect must have benchmarks that are achieved and agreements must be made at every point of the sales cycle for that prospect to ultimately result in a sale. Coaching and measuring the successful navigation of these benchmarks is what drives sales. This is the crucial difference begin measuring quantity (make more calls) versus qualify (measuring what happens during those calls). Once you understand and can apply that difference in your sales environment, and once you can teach this to your reps, then and only then will you begin building a more successful sales team and company. Until then, you are likely to keep repeating the kind of performance you’ve had over the last few years – regardless of how many new reps you hire. To recap these successful hiring guidelines, start with the philosophy of slow hiring and fast firing. Always be on the lookout for new candidates, and turn each employee into a mini recruiting machine. Offer hiring bonuses, referral bonuses, and other incentives to get your whole company looking for qualified and talented candidates that you can add to your sales team. Next, expand your search of talent. Don’t just run ads in the sales section of the paper or online source, but expand to college recruiting boards, acting blogs (actors often make great inside sales reps!) and other websites. Be open to bring on someone fresh to the profession of sales and teach them the right skills from the beginning. Follow these guidelines and you’ll be on your way to building a highly successful inside sales team. 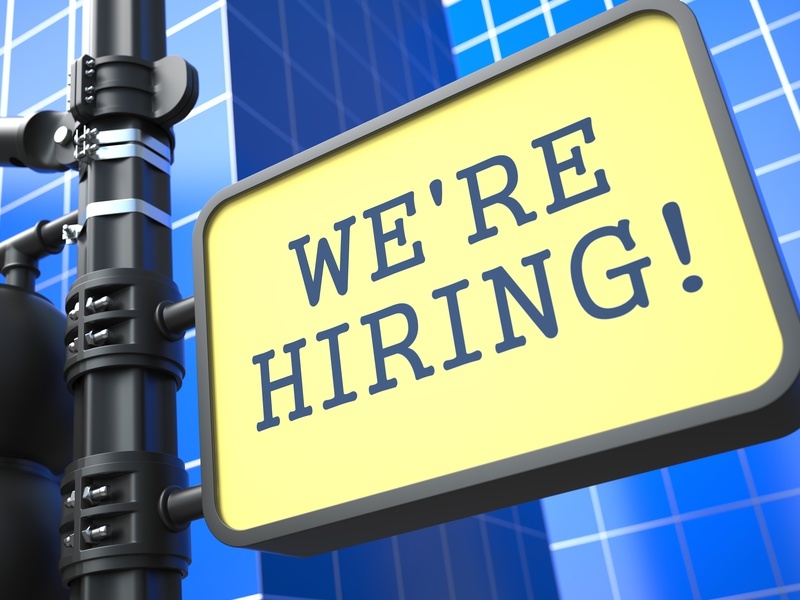 As the economy slowly recovers, companies are beginning to expand and hire sales reps again. If you?re looking for a job, or looking to change jobs, no doubt you will be sending your resume out, talking to hiring managers, and, if you?re lucky enough to get picked, even going on interviews. Over the years, I?ve looked at thousands of resumes and interviewed thousands of sales reps. In fact, right now, I?m recruiting for several companies, and I?m amazed by how sales reps keep making basic, horrible mistakes that often times immediately disqualify them for any chance at landing a position. Often times, these mistakes even prevent them from getting an interview! #1) Filling your resume with every job you?ve worked at for the last 10 years. The first mistake sales reps make ? and that hiring managers look for first ? is listing five to seven jobs (or more!) on their resume within an eight to ten year time frame. Obviously, the reason this is a red flag for companies is that they see themselves investing thousands of dollars hiring and training you only to think that their company will be the next one on your resume. The Solution: Omit jobs you?ve stayed at less than a year, and never list more than four jobs in a ten year period (it?s better to have only three). You can disclose other positions once you move forward during the interview process ? in person ? after you?ve earned a change to wow them with your personality, experience, and obvious qualifications for the job. #2) Talking for too long when asked a question. Whenever a hiring manager calls you and begins asking questions, make sure your answers are direct and short. You?d be amazed at how so many sales reps will go on and on and on?.. What the hiring manager is thinking is that you are a sales rep who will talk past the close, never listen to your prospects, and never close any business. ?No wonder they?re looking for a job,? frequently goes through my mind? The Solution: Listen carefully to what you?re being asked, think about how to answer it directly, then answer it and shut up! This one technique will separate you from 80% of the sales reps interviewing for the same position. #3) Don?t interview or interrogate the hiring manager. I know that you have questions about the job, and you should ask a few, but don?t interrogate the hiring manager! Nothing makes us more irritated than being grilled about every aspect of the job, especially about the pay and comp plan. You?re the one being interviewed, not the other way around. The Solution: Ask some basic questions but save the majority of them for the END of the in person interview. Believe me, the hiring manager will appreciate it and be much more likely to bring you in. If you?re serious about getting a new position or moving up in your sales career, then avoid these 3 interviewing mistakes. Your chance of getting the new job will increase 100% if you do! Many business owners and sales managers ask me if I have a proven system or a way to identify and hire top sales reps. They have tried everything, they tell me. They check references, review similar work experiences, talk to ex co-workers, hold multiple job interviews, and sometimes they even spring for some high priced fancy sales aptitude matrix tests. Even with all that however, many sales managers still haven’t found a way to identify who will actually perform well and work hard versus who will merely show up, take up space and drive up costs by sending out brochures, running up phone bills, squandering leads etc. “How can you tell?” They ask me. Well I’ve got good news for you. There is one technique that I’ve used successfully for years that will immediately separate who is for real and who’s not. It doesn’t require any special tests, it can be done on the first interview, and it will always tell you what kind of sales rep you’ve got in front of you. After that, tell them you want to get an idea of how they would handle some of the common objections you get for this sale, and then give them three or four objections (one at a time, of course) and let them respond to them. That’s it! The “A” Players — The top reps or sales reps who are well-trained and confident, will handle each objection with a recognizable rebuttal, and the really good ones will even ask for the sale at the end. You will instantly know who they are. You hire these reps right away. The “B” Players — This group of sales reps will also answer the objections, but their responses will be less polished. With this group the lack of any formal training will show through, and you will be faced with the decision of whom you think can or can’t be trained. Part of this group will be uncomfortable with the objections and you will be able to tell that they probably never will be comfortable with them. Your choice of who to hire from this group should be pretty clear. The “C: Players — A common response from this group will be something like this: “Well, I really don’t know your product so I really wouldn’t be able to answer these objections.” What they’re really saying, of course, is that they have no idea how to respond to an objection, they have no confidence, and the reason they are here looking for a job will be glaringly clear to both of you. You pass on this group altogether. You will know instantly if you’re dealing with a real closer or someone who is just going to fill a chair. Happy hiring!